Our team of chiropractic doctors possess skills at every level of this spectrum and will “fit the technique to the patient”, not “fit the patient to the technique”. 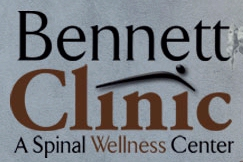 The Bennett Clinic is the smart choice when looking for relief from back and neck pain, chronic arthritis pain, pain from recent injuries, or a better life managing chronic pain. Established in 1992 in Prescott, the Bennett Clinic has earned a reputation for helping patients achieve dramatic recovery from spine and sports related injuries, chronic pain, headaches, allergies & asthma, arthritis, osteoporosis, and a wide variety of spinal health issues.